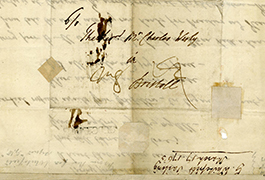 The Bridwell Library collection on George Whitefield consists of correspondence, a hymn text composed by, receipt signed by, and prints of Whitefield. 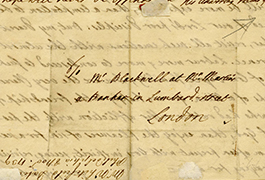 These documents record evidence of the personal life and ministerial career of a leading eighteenth-century English missionary and field-preaching evangelist. George Whitefield was born in Gloucester, England on December 16, 1714, the youngest son of innkeepers Thomas and Elizabeth Edwards Whitefield. 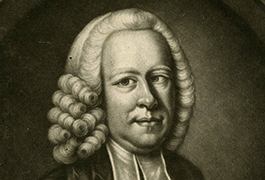 He studied at Pembroke College, Oxford University, where he met Charles Wesley and joined the Oxford Holy Club. An Anglican deeply influenced by Puritan writings, Moravian Pietism, and his own spiritual re-birth experience, Whitefield was ordained a deacon in June of 1736. Rev. 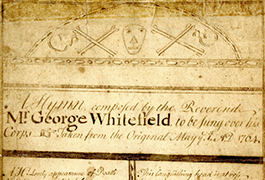 Whitefield ministered in England in 1737 and in the British North American colony of Georgia in 1738. After returning to England, he was ordained a priest in January of 1739 under the patronage of Selina Hastings, Countess of Huntingdon. In response to finding many Church of England pulpits closed to him, Whitefield adopted field preaching as a way of conveying the message of Christianity to the public. Over the next three decades his dramatic style of preaching, evangelical new-birth message, and constant public appearances made Whitefield one of the most popular preachers in eighteenth-century Great Britain and North America. He died in Newburyport, Massachusetts on September 30, 1770 while on a preaching tour. 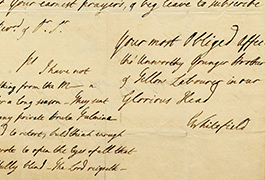 Though they were colleagues in ministry early on, Whitefield and John Wesley parted ways over theological differences. 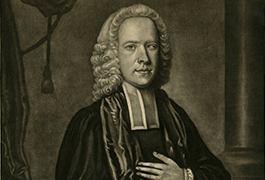 Wesley championed Arminian Methodism while Whitefield supported the Welsh Calvinistic Methodist Conference, Lady Huntingdon’s (Calvinistic Methodist) Connexion, and the cause of mass evangelism. A finding aid to the George Whitefield Documents and Images at Bridwell Library is available at Texas Archival Resources Online. For more information about the collection, please contact Bridwell Library Special Collections.